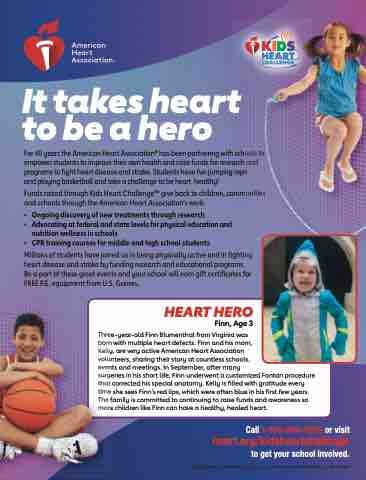 and playing basketball and take a challenge to be heart healthy! heart disease and stroke by funding research and educational programs. Be a part of these great events and your school will earn gift certificates for FREE P.E. equipment from U.S. Games. e children like Finn can have a healthy, healed heart. e she sees Finn’s red lips, which were often blue in his first few years.